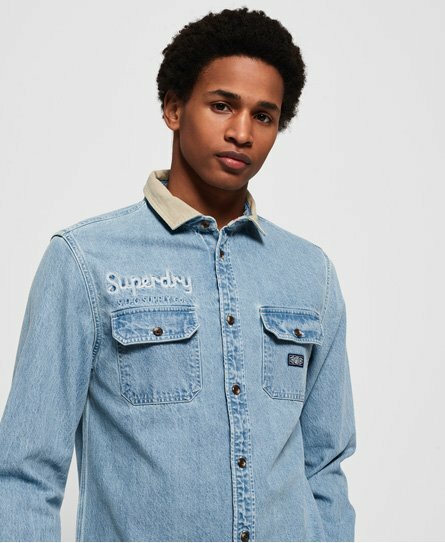 Superdry men's Worker long sleeve shirt. A classic denim shirt featuring button fastening, twin chest pockets with button fastening and button cuffs. The Worker shirt has been completed with a small logo badge on one pocket. Style this shirt layered over a crew neck t-shirt and chinos for an easy everyday look.